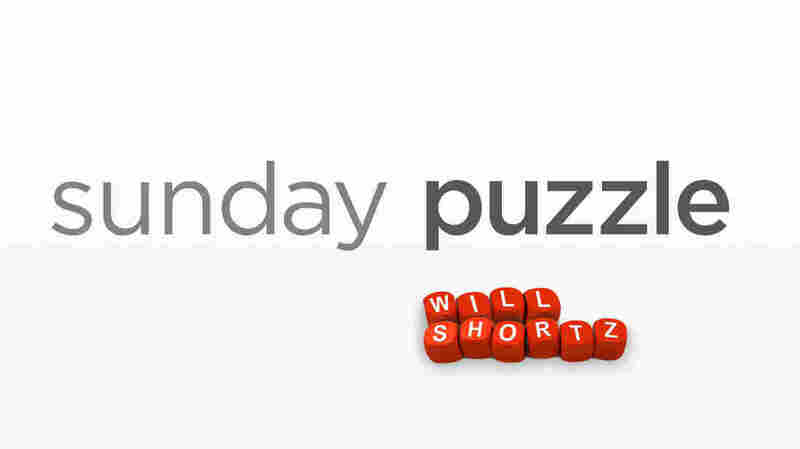 Sunday Puzzle: Cal It Like It is NPR's Lulu Garcia-Navarro and Weekend Edition Puzzlemaster Will Shortz play a word game with WNYC listener John Price of Poughkeepsie, N.Y.
On-air challenge: Every answer today is a word or name that starts with the syllable "Cal-." Last week's challenge: Think of a title for a particular person — two words, 15 letters in total — in which the only vowel is "I." What is it? Winner: John Price of Poughkeepsie, N.Y.
Next week's challenge: Take the 7-letter last name of a famous woman. Drop the letter E. Add an I and an F. You can rearrange the result to get a word that famously describes this woman. Who's the woman, and what's the word? If you know the answer to next week's challenge, submit it here. Listeners who submit correct answers win a chance to play the on-air puzzle. Important: Include a phone number where we can reach you by Oct. 18 at 3 p.m. ET.